Weatherstation - who needs it in times of smartphone apps and Internet? The answer: Everyone who wants forecasts around his home. The weather station on the window reveals whether it is freezing in the garden or how many milliliters of rain the roses got off. How good the weather stations in the price class from 20 to 200 euros make, this test betrays. What do the weather stations indicate? All test candidates measure indoor and outdoor temperature, some also wind direction, strength, air pressure and humidity. The predictions are developed either on the basis of their own measurement data or they are received by radio, usually via the free weather direct service. The equipment and prices of the test candidates differ accordingly. Weather stations up to 60 euros have installed a thermometer as well as an outside sensor, which transfers the temperature by radio - and with some models by hygrometer the humidity - from the garden or balcony to the weather station. Apart from the cheapest devices, they have a prediction function via air pressure measurement or by radio. 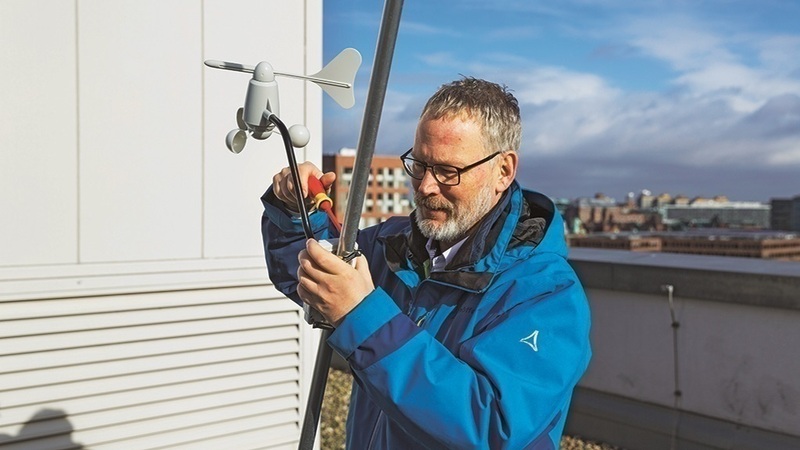 Weather stations up to 200 euros have one or more outside sensors for temperature, precipitation measurement, wind strength and wind direction. Your predictions often include several days, the display fields of most devices are larger and more detailed than in the low-priced class. If you want to deal more intensively with the weather, can spend several hundred euros for a professional. In this class, the sensors are much more stable and accurate, usually the data can be read out with the PC and exchanged with other weather data collectors over the Internet. The sensors of the weather stations have hardly changed for years. They are enough for home use, but the test shows that they can not compete with professional instruments. For example, the outer sensor of the Conrad weather station KW-9005 (52 Euro) was on average two degrees too high. But even the expensive devices do not measure everything perfectly: the Renkforce station (120 euros) has the only UV sensor, but its readings were as meaningful as the position of a frog on the ladder in the glass. The Conrad KW-9005 and the Renkforce only determined their forecasts for the next twelve hours from the measured air pressure profile. This does not have to be a disadvantage - in the test they were on the same level with stations, which receive forecasts on a weather service like the TFA Neon 300. The Netatmo Urban Weather Station (149 euros) offers data from the Internet a multi-day forecast as you can from Weather apps. Are the stations usable everywhere? No, because stations with prognosis by radio get their data via a radio signal of the so-called weather-direct-system, which works on 466 Megahertz. And such weather stations are only useful in Germany and neighboring areas. Anyone who reads seemingly nonsensical readings at his weather station usually has the sensors installed in the wrong place: The temperature sensor should be installed in the shade and not directly on the warm house wall. An anemometer, on the other hand, is only useful if the sensor arm can rotate freely on the roof. Even the roof slope causes a nozzle effect, which distorts wind measurements. Precipitation sensors, in turn, often suffer from "blockage" when leaves or insects prevent rainwater from flowing out. The problem with all test candidates was interruption of the radio connection to the external sensors. After each failure or battery replacement, the sensors must be reconnected to the station - this should be easier.